To prune or not to prune tomato plants is an option tomato growers have. 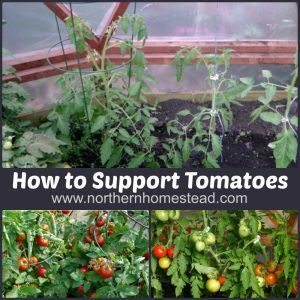 Not all tomatoes need pruning, in fact some should not be pruned except for the bottom leaves and possibly at the end of the growing season. Some growers decide not to prune at all, and some go over the top with pruning. 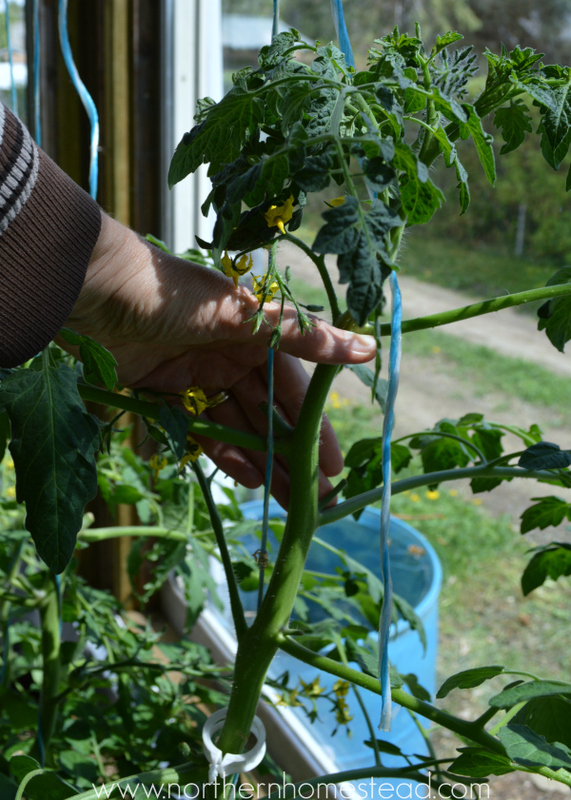 Whatever you decide, here are some things that are good to know about pruning tomato plants. There are two main varieties of tomato plants: Determinate and Indeterminate. A seed package will tell you what you got. I don’t know of a way to tell if a plant is determinate or indeterminate by just looking at a young plant, but later in the season you can see if it is a bush type tomato or a huge, still growing, vine type plant. Pruning will give you earlier and better fruit, but be sure to know what can and what should not be pruned. Use clean hands and clean pruning shears for pruning. If your plants have any diseases, disinfect your working tools with hydrogen peroxide. Determinate plants are bush type plants. They only grow to a certain height, produce their fruits often all at once, and die off. The picture above shows a determinate plant that is higher at the beginning of the season than the indeterminate plant next to it. In a month the determinate will be about double in width and the indeterminate double in height. That is just the growing pattern of determinate tomatoes, they grow into a bush. Determinate plants prefer a cage to support them. They grow suckers just like all tomatoes, but do not need to be pruned. The reason is that the suckers will also not get bigger than the plant is, and actually give you more tomatoes. Do not prune determinate bush type tomato plants. Determinate tomato plants are usually earlier than indeterminate. 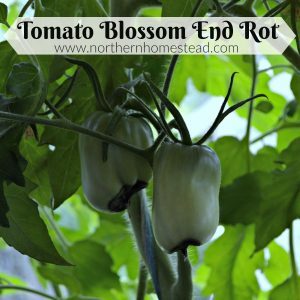 They are great for beginners, container gardening, and for short growing seasons. Indeterminate plants grow all season long. If all the suckers are left on, it will eventually be a huge bush too, with the difference that the suckers grow endlessly as well. So if they are not pruned, they definitely will need serious support. Some tomato growers like to cut indeterminate tomatoes back, so they stay small, and let the suckers grow to a limited height. That way it turns into a wide bush. If space is not an issue it is an interesting way to grow. We prefer to prune indeterminate tomatoes to a single stem. That way we can grow more plants in a small space, vertically. For support we use Tomato Clips with a string. Dwarf tomato plants stay small even if they are indeterminate plants. We do not prune dwarf tomato plants. 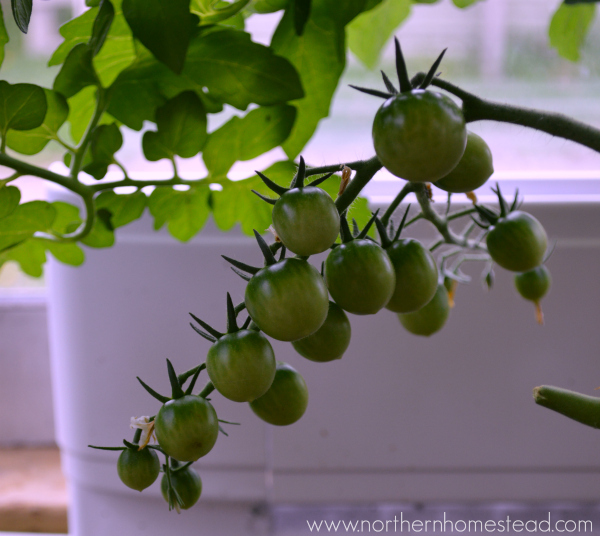 I like to start a few dwarf plants very early and plant them in a pot; we have our first ripe tomatoes before the rest come up. 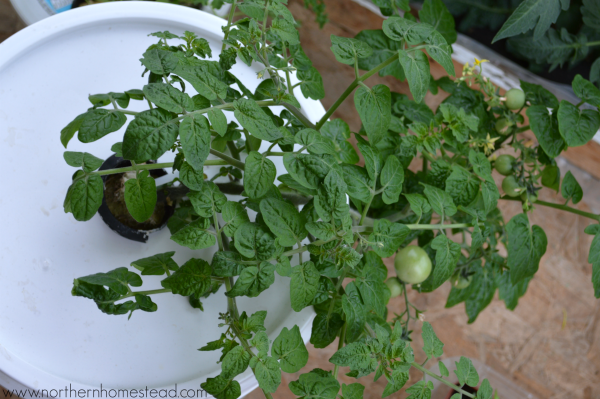 They can also be grown in hanging baskets, in a bucket the Kratky way, or traditionally in the ground with a cage. 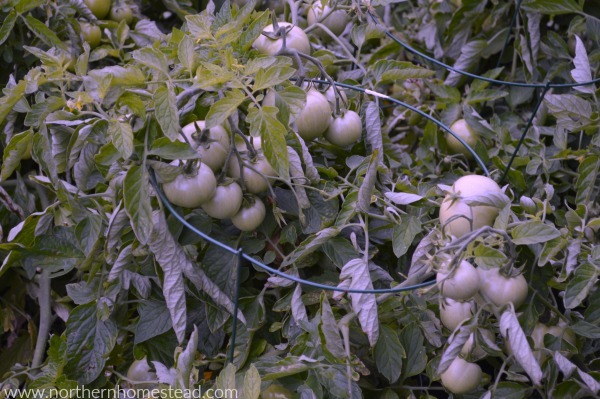 Only indeterminate, not dwarf tomato varieties, can be pruned. Pruning will give you earlier and better fruit. By pruning the plant to a single stem you can grow more plants in a small space. For a cold climate we find that to prune indeterminate tomato plants helps us to harvest ripe tomatoes earlier in the summer. A sucker is the little thing between a leaf and a stem that look like a little plant. You can pinch it off with your fingers, or cut it back with clean pruning shears leaving a little stem. The stem will eventually die back but it will buy you some time till a new sucker can grow in its place. Pruning needs to be done regularly, otherwise the little suckers will grow into a branch. By the way, you can grow a new plants from these suckers. 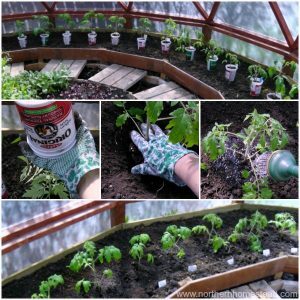 Tomato plants do need lots of sunshine and air circulation in order to be healthy. For indeterminate tomatoes, all the leaves under the first fruit cluster are not needed any longer and can be taken off. 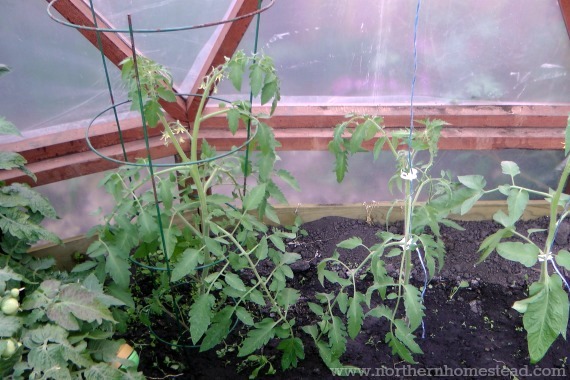 For determinate tomatoes, take off all the leaves that are lying on the ground. Also any leaf that looks sickly or yellow does not help the plant, take it off. If a plant generally has to many leaves so that no air circulation or light can come through, take some off. To prune back fruit clusters to a limited number of fruit during the growing season is an option, too. Personally I only do that if a cluster has many fruits set and still a lot of flowers blooming. In this case I take the flowers off. Sometimes tomato fruit clusters decide to grow into a leaf or brunch, those need to be pruned off. 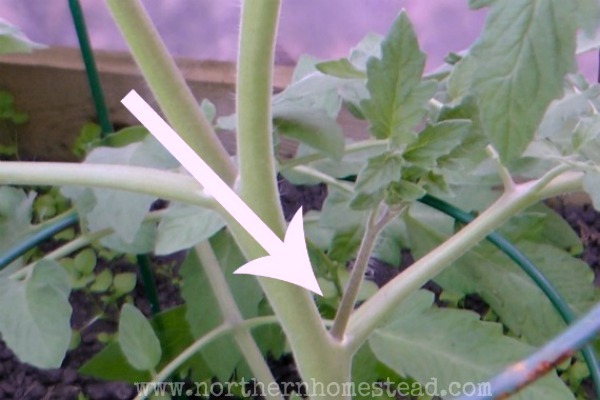 About a month before the growing season is over you can clip the growing tips off all your tomatoes (determinate and indeterminate), and take new flowers off. 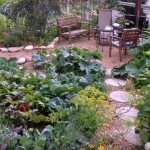 The plants will need to focus the energy into growing and ripening what is there. 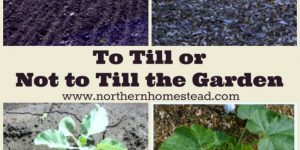 This is especially important if most of the tomatoes are still green and fairly small at this point in the growing season. It will help to mature the fruit so at least most of them can ripen before the first frost. 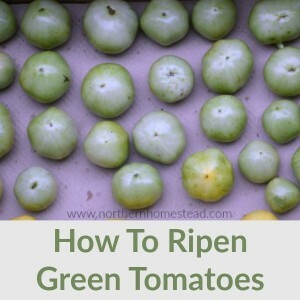 Read also how to ripen green tomatoes indoors. 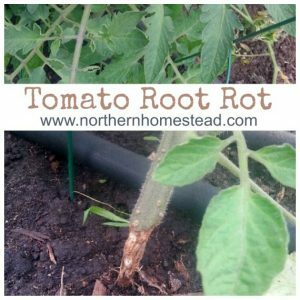 Whether you decide to prune or not to prune tomato plants is up to you, the tomato grower. However, in a cold climate and a short growing season I would encourage you to consider pruning. You will get earlier and bigger fruit and healthier plants. I am confused as to how you actually prune the indeterminates. Do you only prune off suckers that grow between the main stem and a side branch or do you remove side branches. Do you think it makes sense to prune indeterminates if you live in a northern climate where they only grow from mid May to early September or is it best to just let them go wild? Hi Angela, Indeterminate tomato plants do not have side brunches. All of them start as suckers that grow between the main stem and a leaf. They will eventually grow to a side branch. If you decide to prune your plants, it is best to do it every week, otherwise they will grow to a branch. 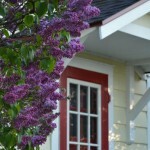 To prune or not to prune in a northern climate is a good question. It depends, if you do prune, you will have ripe tomatoes earlier in the season, and they will be bigger. If you do not prune, you will and up with more tomatoes, but they might not be ripe till the first frost comes. I have done both, and I think pruning is a better way for a short growing season, but it is up to you. Hope this helps, happy growing! I’m A Fan Of Pruning In Short Seasons. It Lets The Plant PuT Its Energy Into Fruit, Not Green Growth. Yes, me too. 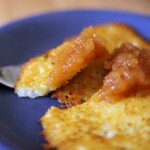 And have earlier fruit is very welcome too. just wondering whether you know if Perino tomato plants are indeterminate or determinate? Perino tomatoes seem to have a real will to grow. My opinion is that they are indeterminate. Alli, in your climate it might not be as important to prune tomatoes if you can live with the huge bush it becomes. 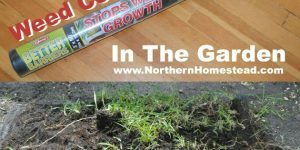 You have a long warm growing season. 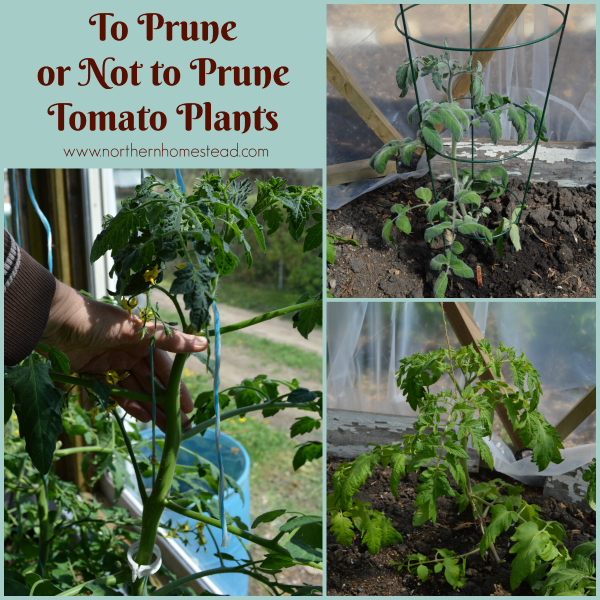 However, if you do prune, your tomatoes will be even better. Glad I can be of some help to make your dad proud of you! Well, I guess I have determinate ones, since mine do grow branches. Very interesting! Thanks for sharing this, Anna! Very possoble, however if they start to go out of control, than it was indeterminate. But now that you know it, you can look for it before planting. Oh, this is so handy Anna – thank you! 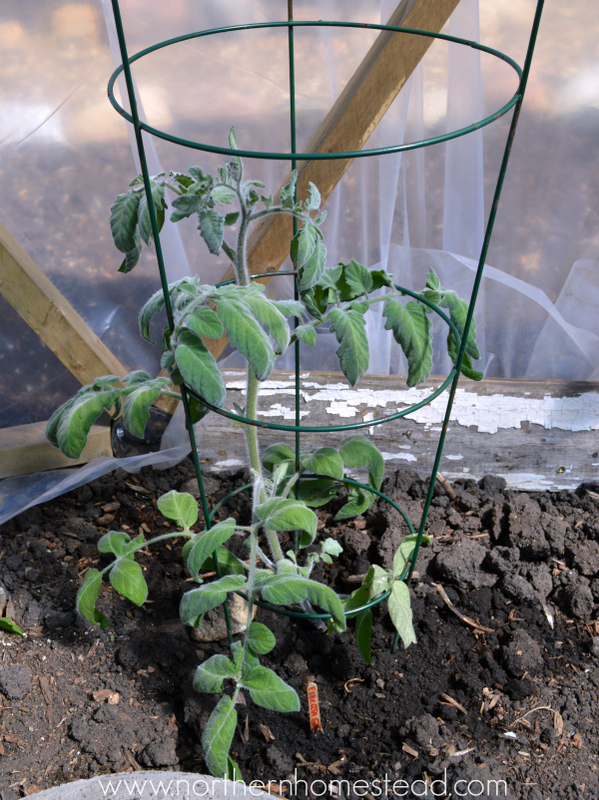 We just bought the trellis for our new heirloom tomato plant to go in soon… can’t wait. How exciting! I love starting a garden. Happy gardening, Renee! I’m pruning this year in hopes of bigger better tomatoes. I’m container gardening this year, have a couple of tomato plants on the deck in the back and one on the porch steps in the front. 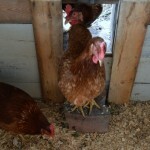 Oddly, the one in the front is growing by leaps and bounds better than those in the back! Yeah, I have been container gardening tomatoes too. We used grow bags. Tomatoes just sometimes do what they want to do, my earliest is smaller that the ones I planted later. Go figure. Great information! I have lots of space for my tomatoes, but I generally keep them pruned. Now to figure out what type I actually have this year! Indeterminate usually grow fester and taller, so you should be able to see what you got. happy gardening! green tomatoes each year. These sit in trays in a cool room and are canned as they ripen. 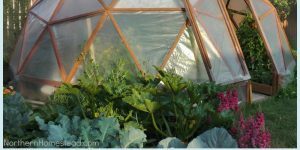 I garden in Northern Alberta without a greenhouse. Latitude 55.. Thank you for sharing Shawna! We too find that pruned plants produce larger fruit in smaller quantities that ripens sooner. Plus I can have more plants in the same space. However, for outside growing I prefer bush type tomatoes. It is just so much joy to harvest a ripe tomato in the summer. 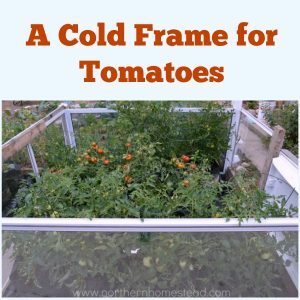 You might also want to check out my post about Growing Tomatoes in cold climate. happy growing! A lady I met at a tomato event said I should take off the blooms/flowers because it’s too young for a seedling to start baring fruit. We’re in California and it’s been pretty warm. My question is, that was 3 weeks ago, new clusters of blooms are coming in, do I leave those alone now or take them off once again (and probably for the last time) so the center branch can grow stronger before the next wave of blooms come in? Here is what I do: If the plant blooms before transplanting into the final spot, I take blooms off. Is the plant already at its final location, I let them become fruit. No I do not know of a way to tell whether a plant is determinate or indeterminate. Sometimes it is possible to tell them apart by leaves, not all tomato plants have the same leaves. Also it seems like Principe Borghese is a smaller plant, so the leaves should be smaller. Good luck with them. My first time to prune tomato plants. I am going to prune my indeterminate plants to form several side shoots and prune them as they grow to end up with a 3 foot by 3 foot tomato bush. Your opinions please…. You can do this, however, the plant will b more like a determinate plant, with limited amount of fruit. 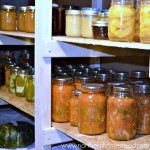 If you have a short growing season, it will be in your favor, since the fruit you have will ripen faster. Thanks for the great information, Anna! 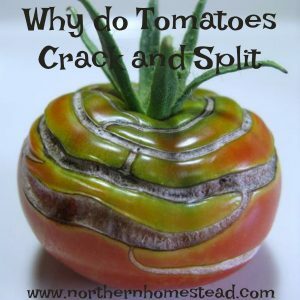 For years I grew tomato plants in a huge organic garden in the Mid-west. and so I let the plants get as big as they wanted. Also had more tomatoes to can than I needed. This year I’m on the West coast and trying container gardening – including tomatoes. An entire new world of gardening for me! I found this helpful on how to prune my indeterminate plant. Thanks again! Glad to hear it was helpful. We do container gardening too, the grow bags are best for that. Happy gardening to you! 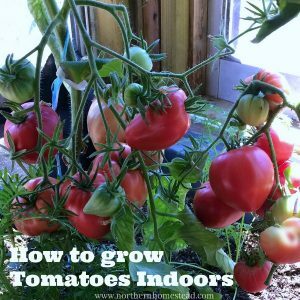 To be able to grow tomatoes in the house all winter you need lots of sunshine or grow light. Also tomatoes like it warmer then normal room temperature. Still, it is fun to grow tomatoes in the off season too. Choose a cherry variate like Latah, the plant also will stay small and not take over the house ;). If you want a bigger tomato that still produces early Matina (aka Tamina) could be a good one. If you want an indeterminate tomato, try Celebrity. 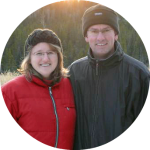 It gets huge and is great at resisting disease and pests. 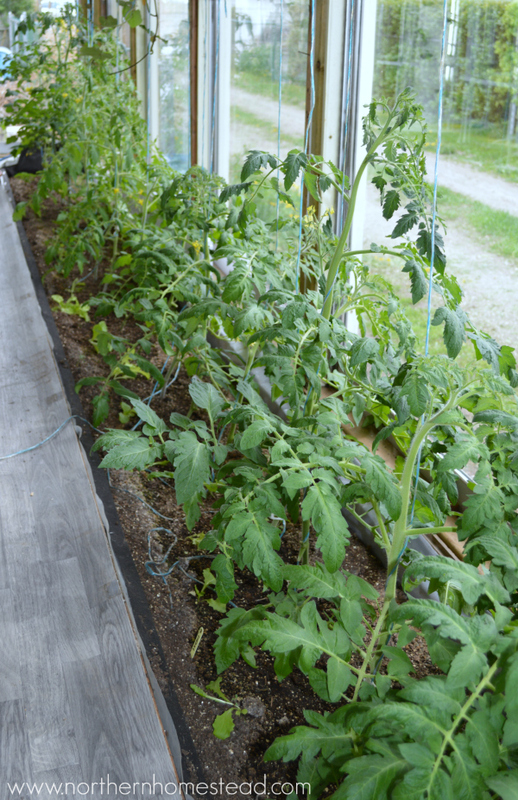 Yes, a hybrid tomato variety is more resistant to disease and pest. 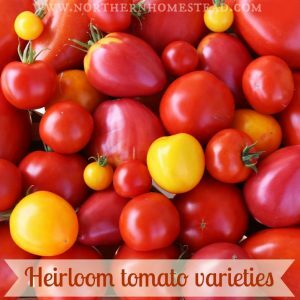 However, for the taste, we still like to grow heirlooms. I wonder if anyone can give me advice. I live in northern area of Scotland with short growing season and my red alert bush tomatoes have hundreds of flowers on them which I know will never have time to develop into ripe tomatoes. How should I prune them? Don’t know where to start as the plants are very big with probably 7/8 branches. Should I try to cut branches out or merely remove a good amount of the flowers? They just seem to be developing new flower clusters on a daily basis and it is now mid August. Many thanks. 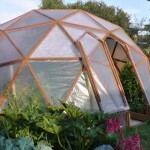 It sounds like your plant is an indeterminate plant, it will grow and produce new flowers all to the end of the season. At this time of the season I would maybe try to cut off any growing point and also remove some flowers. Next year you can see if you would like to prune them to a single stem. All this said, I do have some indeterminate dwarf varieties that are full with flowers, too. They already have produced a lot of ripe tomatoes and lots more are coming. I just leave them alone. So it is really up to you. I prune tall indeterminate plants, and leave alone smaller ones. You can see my plants in my last garden update video. Hope this helps. Before I realized that my better bush tomato plant was a determinate plant I pruned it back. Is it going to be ok? The same day that I pruned it I also used a 3 in 1 organicide on my whole veggie garden and now leaves on everything are turning yellow and looking like they’re burning and dying. I rinsed every plant that I put the organicide on a couple days later…I could really use some suggestions on what to do now. Your pruned determinate tomato will be ok, just have less fruit. I would just leave them to recover, if you put something else on the already stressed plants you might only multiply the problem. Take off as many yellow leafs as you can, all the leafs below the first cluster of tomatoes can go, and hope for healthy new growth. Hope this helps, sorry it happened to you. The Black Cherry Tomato is indeterminate and a vigorous grower.